Compared to the stock market, or the physical property market, the “virtual real estate” market is but a pup! Yes, we hear about the Facebook’s of the world but what about the average, mainstream websites that most Business Owners have these days. What happens to them? However, for some savvy investors, “virtual real estate” has already been far more profitable in a much shorter time than have the traditional investment avenues. I intend being one of those savvy investors! As with property real estate, I’m not all that interested in doing the Flipping thing. I’m far more keen to find quality sites that I can do a lot with… and keep ’em. Over the coming months, I will share my firsthand experience in this fast-paced, growing industry, which may in fact help you to avoid the pitfalls that will no doubt in laying in wait. 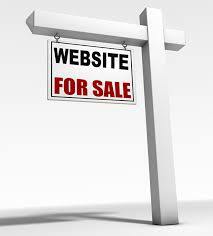 Who knows, it might inspire you to try your hand at Buying or Selling Websites…. ps: if you’ve got a site you think I might be interested in, please let me know.